I don't see Optifine Cape while using this mod... Any plans to fix it? Umm, I can try to manage that, but I'm not a donator of Optifine, I couldn't test by myself. Could you send me your ingame username for your Optifine donator cape in private messages? so that I can test with it. Crafatar is basically a mirror of Mojang's official skin server. You need your own server or another 3rd party server to provide hd skins for your clients. You also have an option to get a custom launcher syncing all the skin files for your clients, though that's a lot more hassle to deal with. For something like dropbox, you need another service to turn it into a normal web server. You might be able to find some information about this in my other mod OfflineSkins' comment section. I might add support for those cloud storage services in the future, if it is easy enough. The most simple solution i could think of would be a web server that serves the contents of a folder containing your hd skin files. To allow users uploading skins would be another story. If you use cloud storage services like dropbox that have local folders synced automatically, you can have a web server serving contents of that synced folder. While playing the mod I keep getting this spammed in my logs. The mod Armourer's Workshop is trying to get the skin texture from player, however the skin texture is a dynamically generated resource by SkinPort, the texture file isn't really there so it failed. You can take a look at the config file of that mod to see if there is anything to disable such behavior, or, you can ask the mod author of that mod to add support for SkinPort. In version 6, the mod works well in rendering with the mod Headcrumbs (spiral lucky block). But from version 7 onwards the skin gets buggy. Is there any way to fix it? I guess it can't work with More Player Models and it'll get my skin in trouble. I installed about 114 mods, and More Player Models is the only mod related to skins, it will create a 3D hat out of the skin. So maybe I need to remove MPM in order to get my skin working... Am I right? 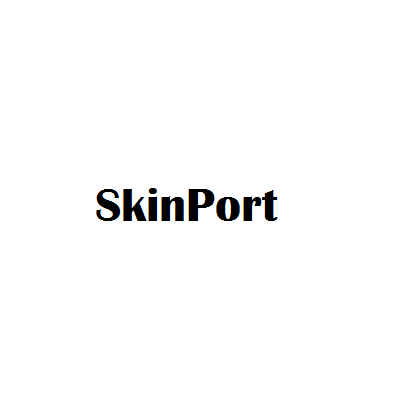 Ask them to use a different username, SkinPort does respect Skins from Mojang Services over local skins. If changing username don't work, try to use a dedicated server program to host your world rather than a lan world hosted by your game client. Do you think there could be a version of this mod... without the skin port? I love the offline skins and the fix for odd arm angle while riding things (The latter is what convinced me to install), but the new skin format causes issues with some mods that replace the player model. It's pretty difficult to decide if I want the hand fix, or the alternate model, so I'm really hoping there won't need to be a choice. There is a version of OfflineSkins(which just do the offline skins part) that can work in 1.7.10, it can be found in it's github releases page. But i don't think it will fix the odd arm angle. You can ask other mods' author to implement this in their mods to fix it. You know, I didn't test it before, but it seems like the mod author already implemented a fix for that! That means I could use OfflineSkins and that mod, which is great! Is this mod client side, or does it have to be on a server?